With all of the thousands of new flats being built in London, it would seem as though there is little space left to develop – let alone to bag a home near a beach. However, there is a corner of east London that has remained relatively under-developed despite the surrounding area seeing huge regeneration and having good transport links. 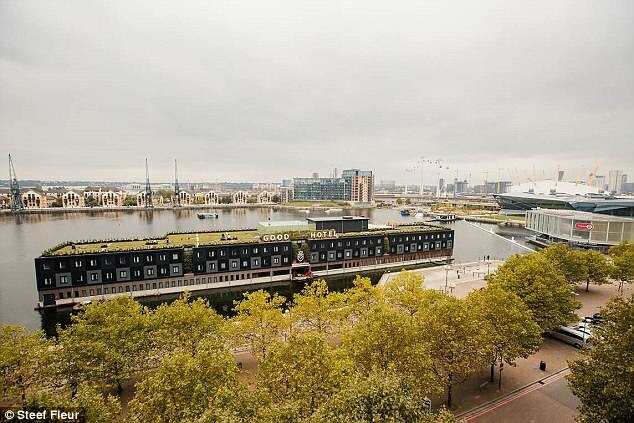 A new development at Royal Victoria Dock highlights how decades after the original flagship docklands regeneration, the city continues to push out to the east, with builders keen to entice potential residents with the prospect of waterside living. And yes, there is a beach (of sorts) nearby. 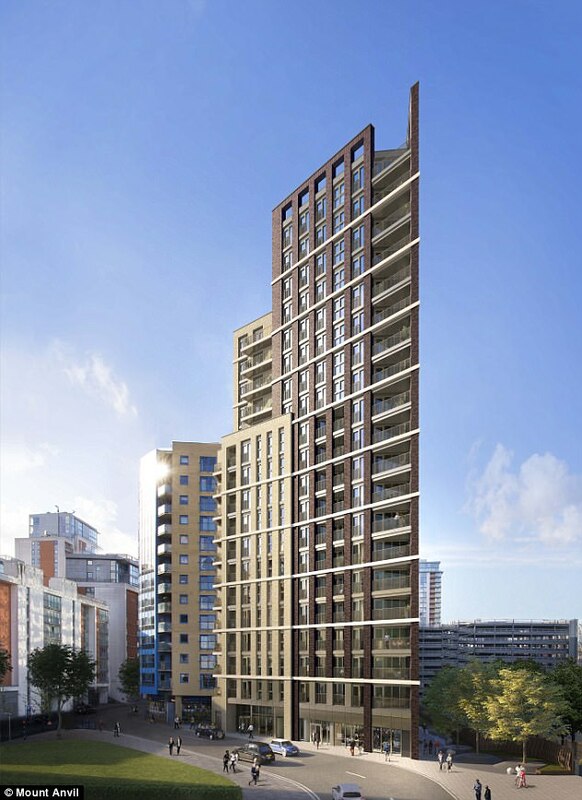 Developers Mount Anvil are building 105 new flats on the land found on Western Gateway, in Royal Victoria Dock. It is found out past Canary Wharf, by the ExCel exhibition centre and across the River Thames from the O2, in North Greenwich. And the beach in question? 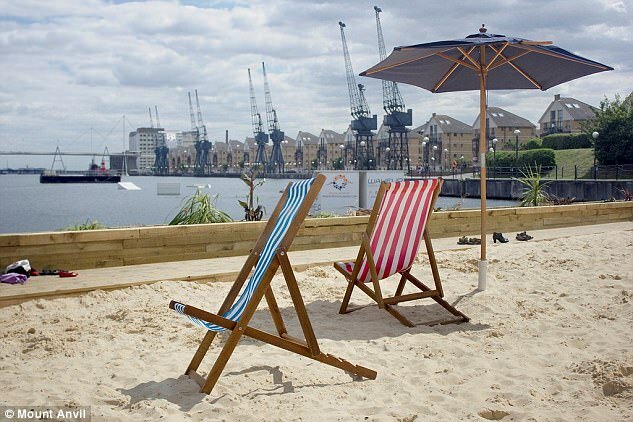 That is Urban London Beach, at the Royal Docks, a stretch of sandy man-made beach overlooking the water, open in July and August. (Exact dates change every year, with the opening starting this year on July 17 and ending on August 31). We visited the site to get a feel for how it will be developed and to find out what is on offer for buyers in the local area. 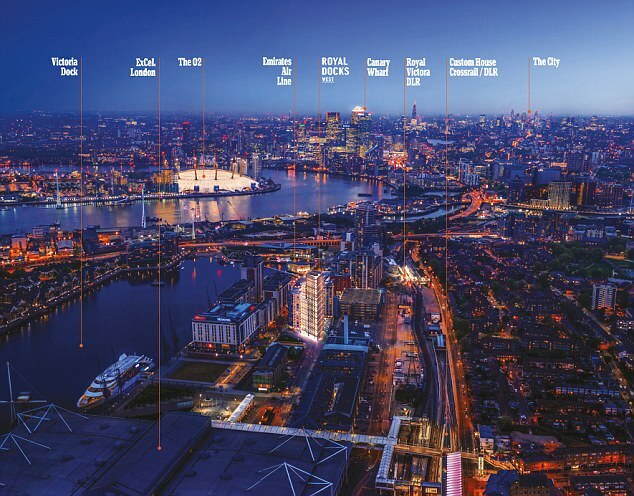 The new development will be on Western Gateway, in Royal Victoria Dock, in the east London borough of Newham. It is moments from the ExCel exhibition centre and the Emirates Air Line with cable car services to the O2. 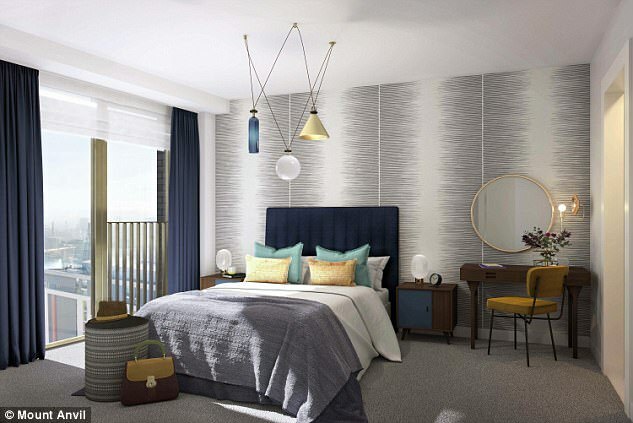 Prices at Royal Docks West start from £465,000 for a one-bedroom flat, rising to £1,265,000 for a three-bedroom apartment, with the homes scheduled to be ready to move into from the end of 2018. 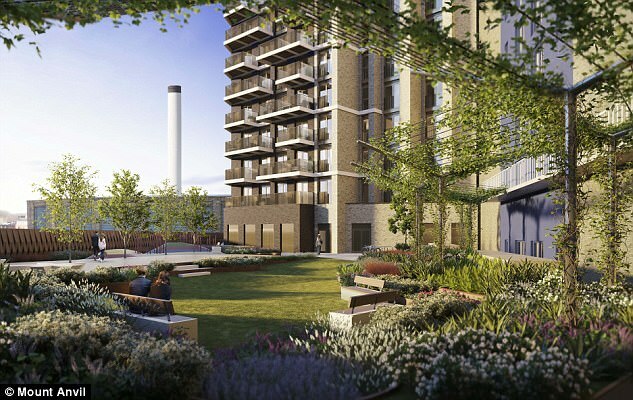 The area of Canning Town and Custom House in east London is being transformed with a £3.7billion regeneration programme, which includes improved town centres, new schools and new open spaces. The area will also see the opening of the Crossrail service at the end of 2018. However, good transports links are already available as it is just a few minutes from Custom House DLR station. The properties could suit a range of people, including couples and families. But it is most likely to be particularly attractive to professionals without children working in nearby Canary Wharf, the City, or anyone who flies regularly due to the close proximity of City Airport (which is reachable in less than 20 minutes via the 473 bus). If you’ll be using the Emirates Air Line to commute into work, it’s probably best to consider another route if you get vertigo, particularly on a windy day. However, those who don’t have a fear of heights will love the views of London and this unusual mode of London transport. 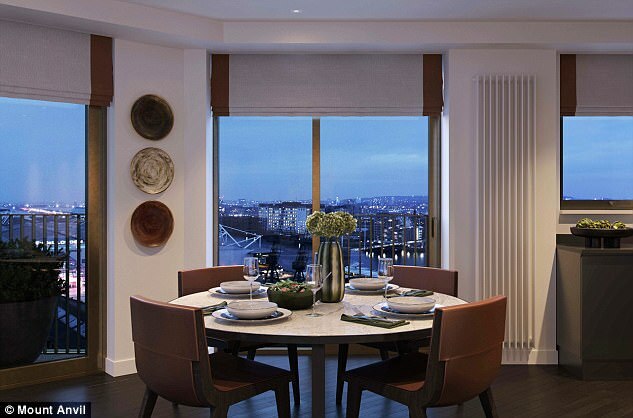 The development is in a great location for access to the capital’s financial district. However, being in East London means you’ll have a more challenging commute if you work, or like to spend more time, in the West End. Newham is a diverse London borough, with young professionals who have just moved in living alongside families who have grown up in the area. The area is being transformed with huge investment, having been relatively run-down compared to other parts of London, and as such, it is one of the more recent parts of the capital to undergo the process of gentrification. Before the Victoria times, the Royal Docks were just marshlands. As shipping demands in London grew, these larger docks were constructed to accommodate them. 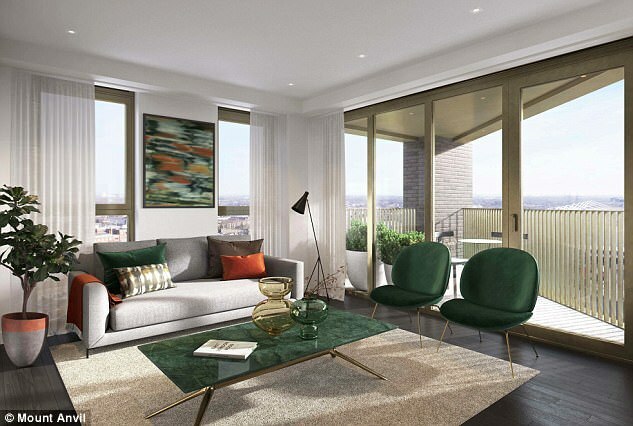 Today, however, the area is being regenerated to meet the demand for new homes in the capital – and with this, there are new town centres and improved transport links being built alongside new residential developments. There is already a lot going on in the area whether its exhibitions at the nearby ExCel centre or a music concert at the O2. And it is a great place for those who enjoy water sports as the Royal Docks is home to the London Watersports Centre. The centre includes a 2,000 metre rowing course with seven racing lanes, a large boathouse, a rowing tank, and a gym. In addition, the Great London Swim takes place in Royal Victoria Dock every July, with swimmers of all standards raising money for charity. Is there a local hidden gem that would take buyers a while to find? The area is home to one of London’s two outdoor beaches during the summer. Urban London beach is a stretch of beach that is covered during the winter, but is opened between the middle of July to the end of August. Where’s a good place for dinner? The Good Hotel London catches the eye as it is a large industrial style floating hotel, which was transported from Amsterdam. All the ingredients, materials and labour are sourced locally and profits go back into training unemployed people in the local community. It has a rooftop bar that opens during the summer, providing views of the River Thames, the O2 and Canary Wharf. And there are plenty of other places to eat in the area, including the highly rated Lands End restaurant based on a yacht and the Nakhon Thai restaurant. What does the property cost to run? The developers say it is too early to give a comprehensive figure but service charges are estimated at £4.50 per sq ft. This would equate to up to £3,500 a year for a two-bedroom flat. The service charge will cover the 24 hour concierge, cleaning of all communal areas on a daily basis, window cleaning, maintenance, insurance and landscaping maintenance of the gardens.